She recently said the naughtiest thing she had done was run through wheat fields, but calling an election could soon top British Prime Minister Theresa May's naughtiness list, according to social media users. Social media users say the election tops British Prime Minister Theresa May's 'naughty' list. London: She recently said the naughtiest thing she had done was run through wheat fields, but calling an election could soon top British Prime Minister Theresa May's naughtiness list, according to social media users. "Running through fields of wheat is now officially the second worst thing Theresa May ever did," Sam Coates, deputy political editor for The Times newspaper tweeted on Friday. Daily Mirror journalist Kevin Maguire wrote: "Running through a farmer's wheat field won't after this election be the naughtiest thing Theresa May's done". Twitter user James Gill joined in, commenting: "Theresa May currently hiding in a field of wheat". All of them were referring to a widely-mocked interview on Wednesday, in which May was asked to describe the naughtiest thing she had done. "I have to confess, when me and my friend, sort of, used to run through the fields of wheat. The farmers weren't too pleased about that," the 60-year-old vicar's daughter finally said after some prodding. May's critics said her confession was either fake or lame, and highlighted her inability to connect with the public. The latest bout of social media mocking came following the release of a shock exit poll which predicted that May's Conservative party was poised to win the snap election on Friday but lose its parliamentary majority. It projected that May's party could fall from 330 to 314 seats, short of a majority in the 650-seat House of Commons and casting doubt on who will govern as Brexit talks loom. 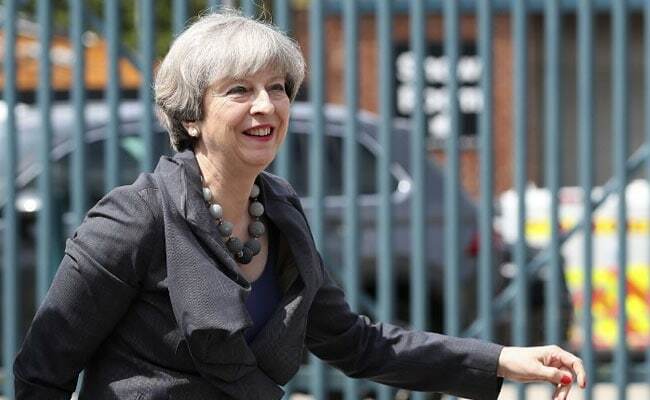 May surprised the country in April by calling the snap election, seeking to shore up her 17-seat majority ahead of two years of gruelling talks with the European Union over its departure from the bloc. Former England international Gary Lineker also took to Twitter on Friday, using a football analogy to mock the prime minister. "I think Theresa May has won own goal of the season," he wrote.